Jump forward a "few" decades and I'm in love with the 70's wrap around fashion all over again. 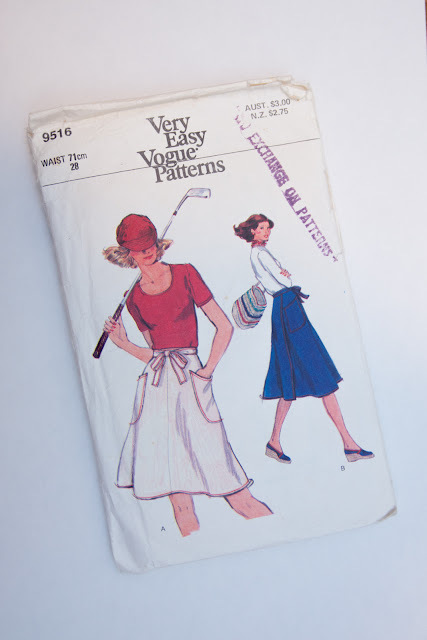 Some time ago I found this vintage Very Easy Very Vogue pattern (9516) in the window of the Gaye Abandon School of Sewing. It joined my pattern stash with no immediate plans to be made. This fabric also entered the stash with no real plans in mind. I bought it at Tessuti on my birthday and it's described as a "japanese technical double fabric". It's drapey enough to be made into anything, but solid and weighty enough for pants or a skirt. The two were a match made in heaven. The skirt is constructed of only two main pattern pieces and the pockets. The skirt pieces are cut very much on the bias with a centre front seam and then overlap at the back. The overlap is generous, even when I was testing the waist size by being an extra 1" over. The waistband continues into the ties and on the left side there is a buttonhole sewn into the waistband to allow the tie to pass through. Then it simply ties in front. A super easy sew, especially if you're hasty like me and don't wait for your bias cut skirt to hang before hemming. The pockets are made as patch pockets. Two pocket pieces are sewn almost entirely together, turned right side out then stitched onto the skirt. In a crisper fabric that would be fine, but this fabric was not lending itself to neat pressing or tidy edges. I should also remember to position them about 1/2" further to the front if I make the skirt again. 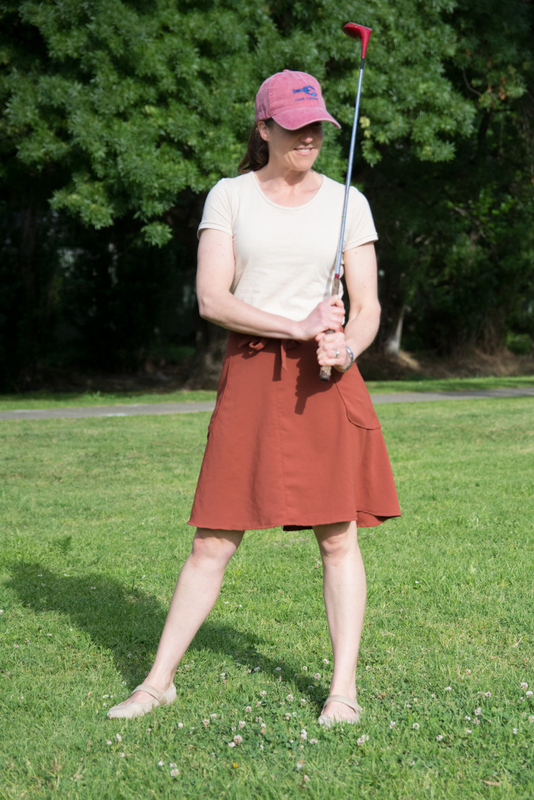 To complete my seventies golfing lady ensemble I also made the T-shirt. I was missing some more fitted tees in my wardrobe. This is the Liesl + Co Metro T-Shirt in a size M (but possibly with the seam allowances sewn at a bit more than 1/4"). The other change I made was to deepen the neckline by about 1/2" and then do a binding rather than a neckband, thus making it a wider opening again. I've worn this outfit a few times already since making it a couple of weeks ago - part of the huge amount of making that was procrastinating (or #procrasticrafting) prior to starting my Frocktails dress. Of course Spring in Melbourne has not been warm and has been quite windy. 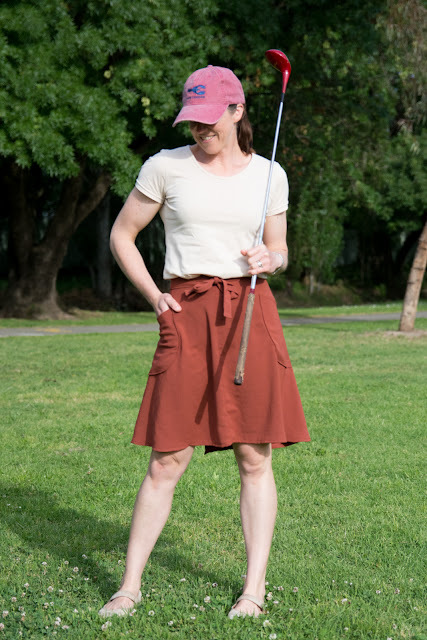 So how does a rearward opening wrap around skirt fair? Pretty darn well actually. 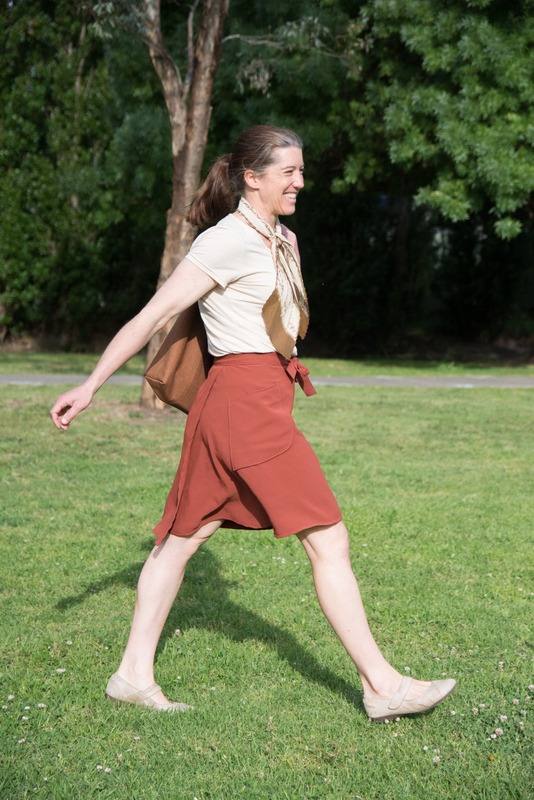 I think it's more secure than a front overlap as the act of walking doesn't constantly open up the skirt. 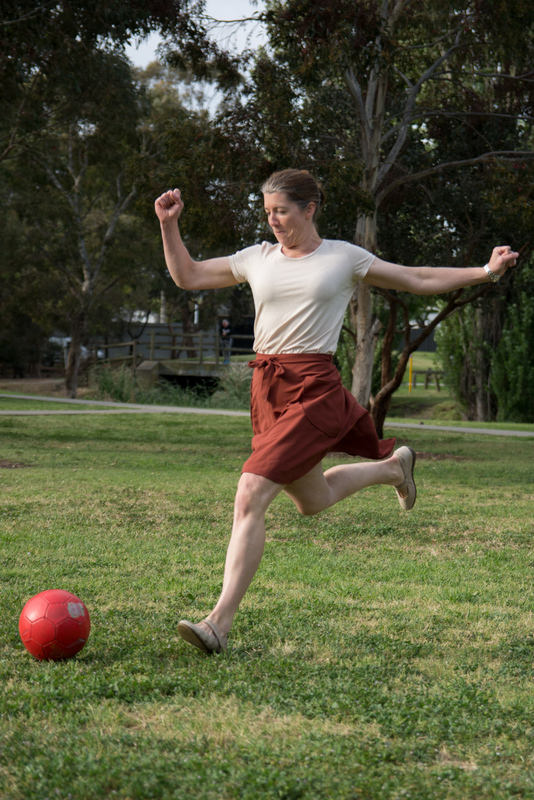 Also, on the bike I can simply sit on the overlap and it's just like cycling in any other kind of skirt. 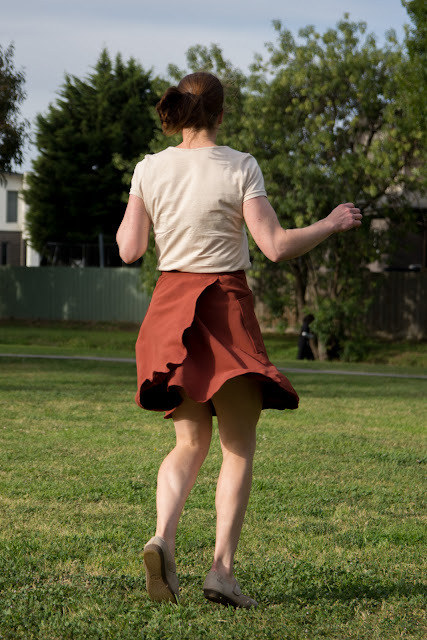 It was a little bit windy for these photos and since my husband, bless him, was being photographer, the challenge became to see what it would take to get a photo of my knickers. 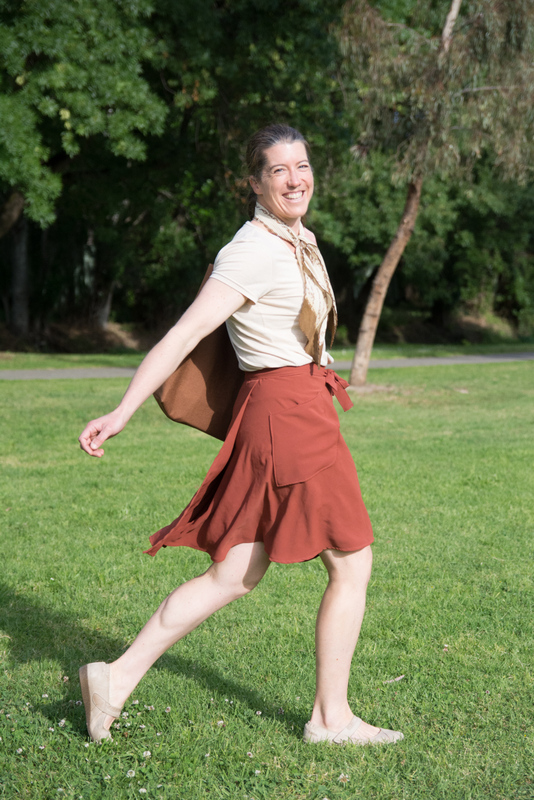 Now I'm not saying it's impossible to catch a cross-tail wind and get accidental exposure in this skirt, or that faster twirling doesn't result in the same. But since I get to edit those photos that make it on the 'net it shall remain an unresolved mystery. 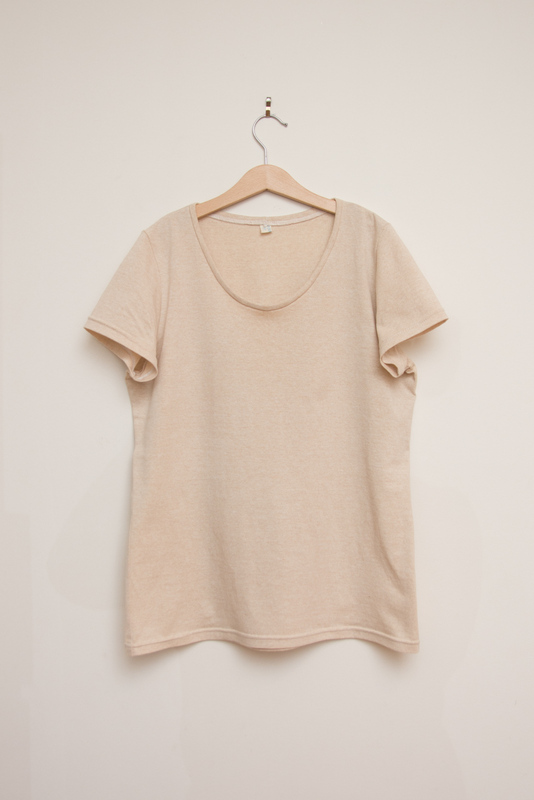 Size: Waist 71cm / 28"
Modifications: Deepened neckline and used self binding instead of a neckband. Love your 70s styling! It's a great skirt and I think that style really works for you. Great fabric colour, too! I can see you were having a blast with your hubs and he was making you laugh! I love the big smiles! 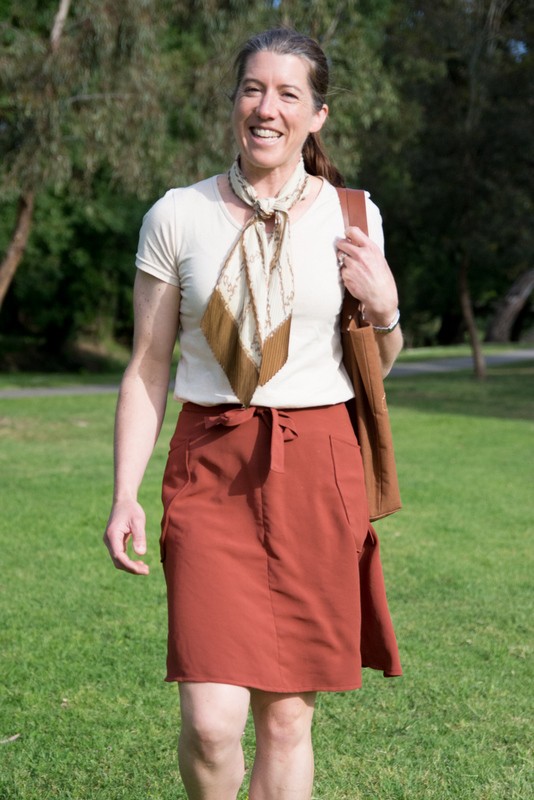 And what a cute skirt! 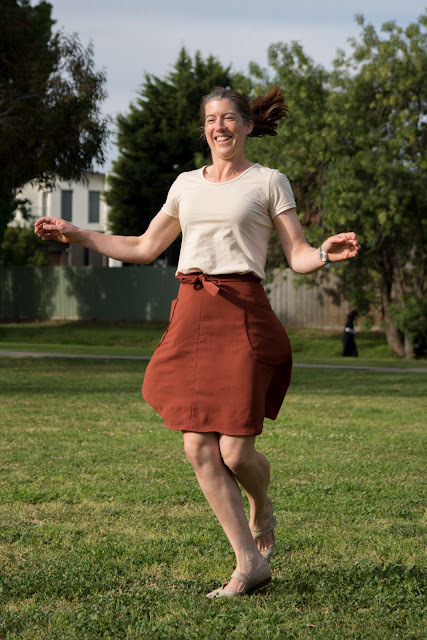 I never stopped loving wrap skirts (or many other 70s things, for that matter), they are easy to sew, they adjust easily if you put on a few pounds or eat a big burrito, and they have a fun casual style. Great outfit! 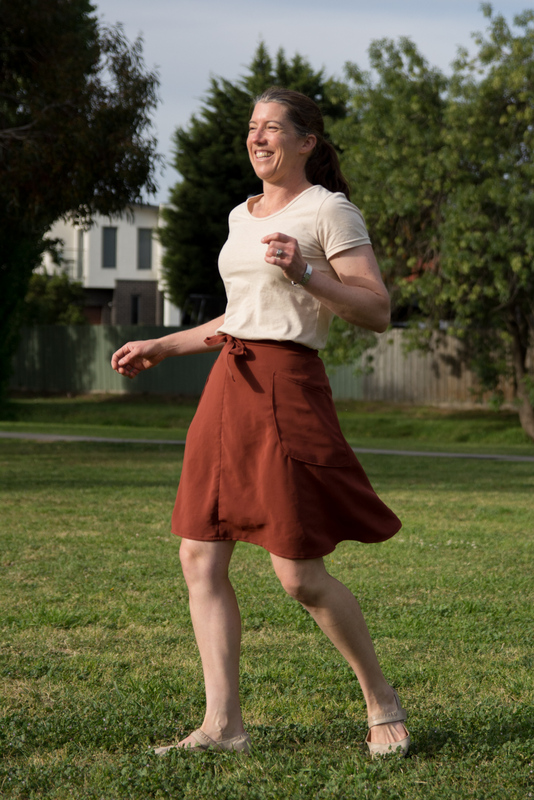 Cute skirt & love that is has pockets! 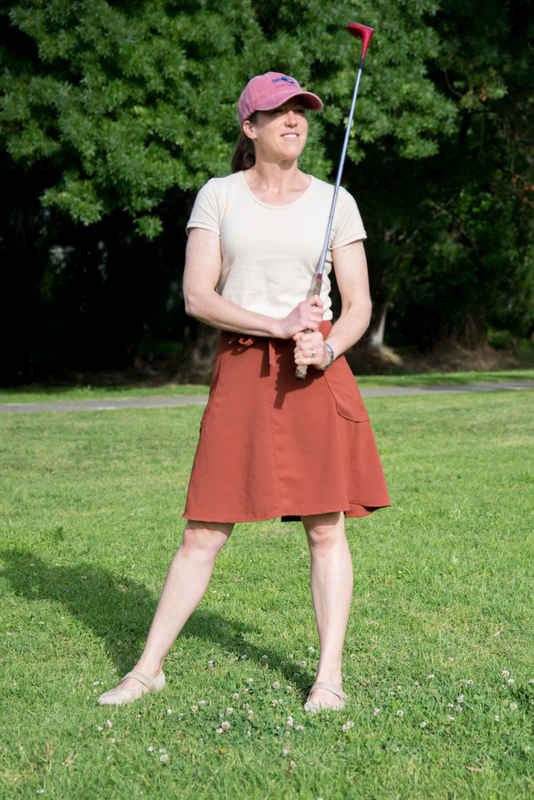 Had my fingers crossed that you would have a golf club handy for the photo shoot, yay!!! 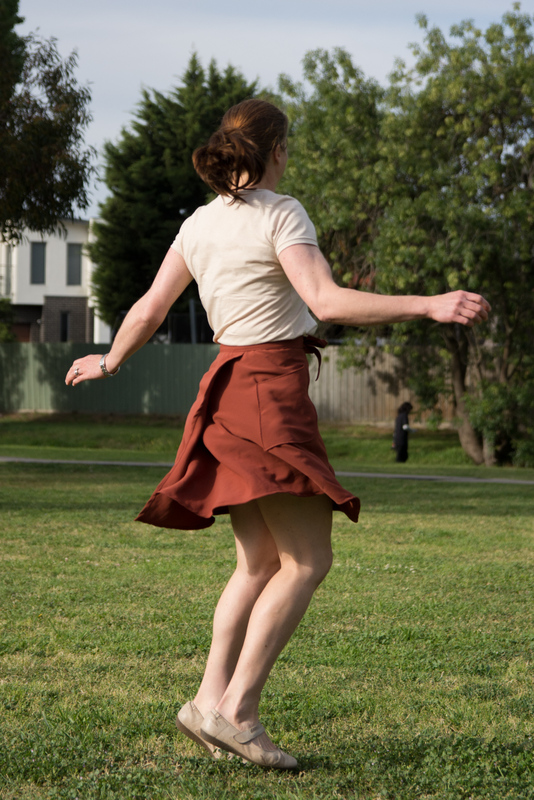 I absolutely love this skirt and I am searching for it now. The waist treatment is gorgeous.